Vancouver Boiler Repair Cleaning and Installation - Vancouver B.C. Vancouver’s qualified gas boiler technicians are highly knowledgeable and can fix your home boiler quickly. 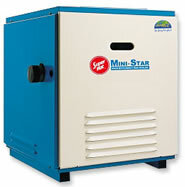 Emergency Vancouver boiler repair can be made day or night, 365 days a year. Our Vancouver boiler repair technicians are trained to fix all major boiler brands and are available seven days a week to perform emergency repairs to your boiler. Need To Upgrade/Replace Your Old Boiler in Vancouver? Fast, thorough, and friendly service. I will definitely be calling again for my next gas fireplace cleaning in a couple of years.